In some cases it is very difficult to start a fire in a home stove or fireplace. This situation may be due to damp wood or the lack of adequate air flow. 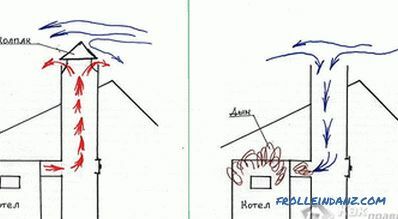 So what to do if there is no draft in the chimney? Traction is the movement of air that occurs due to the difference in pressure in the room and in the street. Due to this process for many reasons. But the main one is the difference in indoor and outdoor temperatures. Most likely, you noticed that in the warm season it is more difficult to melt the stove or fireplace than in winter. Before you take any action, you need to know if traction is absent altogether or it is simply weak. The best tool to do this is an anemometer. You can ask those involved in the maintenance of ventilation channels or ventilation design to make measurements. If this is not possible, then it can be made easier. Light a piece of paper and put it out, bring it to the stove or fireplace and watch where the smoke goes. If he moves slowly in the direction of the pipe, then there is a draft, but not enough. If it simply spreads around the room, it means that there is no draft, and if it is blown in the opposite direction, then there is a reverse draft. Fouling of the smoke channels with soot. Incorrect calculation or pipe design. A square or rectangular tube has a worse pitch than a round one. This is explained by the fact that turbulence is formed in sharp corners. Insufficient removal of the pipe over the roof of the house. A large number of sharp turns of the outgoing channel. At the top of the pipe there is a visor that was installed to prevent water from flowing. He can create an air gap that becomes a cork. Nearby is a building whose height exceeds the pipe outflow. Poor general ventilation of the room. Due to tightly closed windows and doors, the flow of air is deteriorating, which creates a problem. The presence of the second floor and an open flight of stairs. Between the floors there is a constant overflow of air masses, which can create problems with the burden. We will not be able to change the weather, but in other cases there are ways to increase our cravings with our own hands. Up to a certain point, the thrust was good, and over time something happened? Most likely, the channels are just clogged. In the process of burning various materials, soot is released. 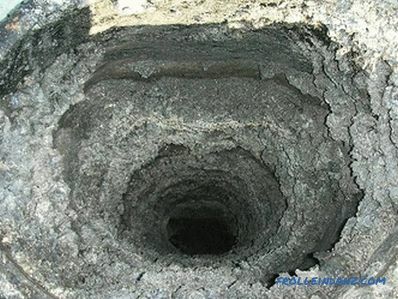 If the surface of the pipe is not smooth enough or there are many turns, then the soot will definitely settle. Accumulating with time, izgar will narrow the passage, which will necessarily worsen the permeability. Periodically the channels need to be cleaned, this can be done by mechanical and chemical in ways. Peeling of the skin from the potato or by the potato itself. In order to implement this method, it is necessary to toss sliced ​​potatoes or potato peel into a well-melted oven. Usually leaves about one bucket. In the combustion process, steam is released, which contains starch - it softens carbon deposits. Some of the soot is crumbling on its own, the rest of the layer may have to be removed by mechanical means. 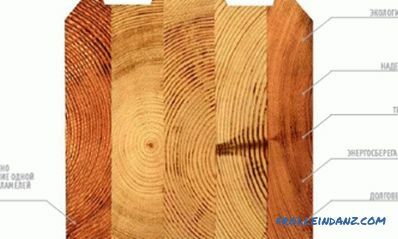 Aspen wood. They have high heat capacity. Some good logs are needed. But before using this method, be sure to check the condition of the sunbed and riser. 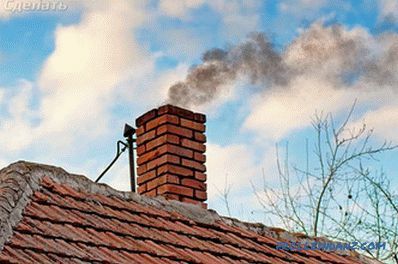 If you are not sure of their reliability, do not try to clean the chimney from soot by this method. In the process, the channels are very hot, which can cause a fire. Rock salt. It is filled in the course of burning wood. But do not wait for a special effect, because this option is more intended for prevention. 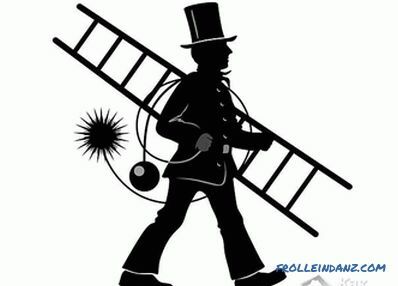 Of the chemical agents, the most popular are Cominiche and the chimney sweep. " These funds are placed on the coal and left for a certain time, according to the instructions. In the combustion process, compounds are released that destroy the soot deposits. 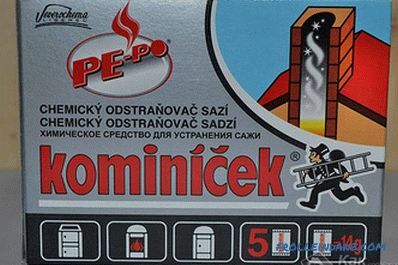 Manufacturers recommend that after they burn through, do not remove the coals until the next kindling, since some substances continue their action. The methods of chemical cleaning have their opponents, who say that their use can lead to the destruction of the chimney. In fact, it is not. The principle of operation is not that the reagent inflames up to ultra-high temperatures, but that a chemical reaction occurs with soot due to compounds released into the air.This, on the contrary, helps to avoid problems, because in the case when the soot ignites, then a fire cannot be avoided (its burning temperature can reach 1200˚C, only ceramic tube can withstand such a load). You can perform a mechanical cleaning. You will need a brush for this. If it is not possible to purchase a special one, then it can be done independently. To do this, you need to take two plates that will repeat the shape of the chimney. Their size should be 1 cm smaller on each side. Between them, you must place the plates, which are made from a plastic bottle. They must perform on this missing centimeter. They need to be cut to get cloves. Cleaning should be done only in good weather, so as not to fall from a height. Close all doors in the stove and fireplace. If this is not possible, then curtain them with a thick, damp cloth. It is also better to cover all the furniture in the room with oilcloth, this will protect it, because soot can spoil the fabric irretrievably. A brush should be attached to the brush, the length of which will depend on the length of the pipe. 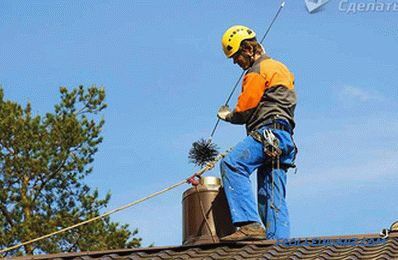 It is necessary to climb onto the roof and fix yourself with the help of safety cords. By progressive movements, the soot is knocked down. Next, it will need to be removed through special holes that are provided in the ducts of the chimney. In this way it is better not to clean the metal pipes. Brush can damage the walls, which will lead to the fact that the ash will linger and accumulate even more. If during the process you notice a serious blockage, then it will have to be punched with the help of a special metal ball, which is suspended on a cable or chain. In the case when actions were taken to clean the canals, but this did not give any special results, then the following points can be analyzed. Check at which level the top point of the pipe is. It should rise at least 50 cm above the ridge. If there is a building nearby, you will have to lift it even higher. The fact is that because of the neighboring buildings, trees or other objects, turbulence may occur, which reduces the pressure drop. In some cases it will be enough to insert a metal pipe to extend the channel. 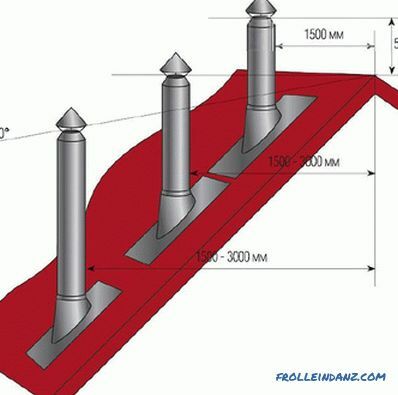 Under normal circumstances, a total length of 5 m should be sufficient for good traction. In the case where the cause of poor traction is the geometry of the channels themselves, then you may have to install a separate circular pipe that will rise to the required height. It is important that the channel section corresponds to the power of the furnace itself, otherwise the excess smoke will always remain in the room. If you determine that the cause of the poor thrust is insufficient ventilation, then you will need to increase the flow. 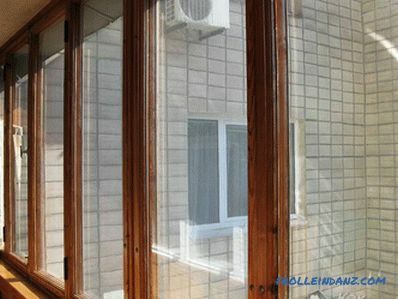 In plastic windows, you can mount special elements that will ensure the flow of air from the street. 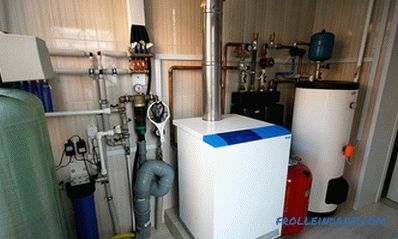 You can also install a special valve in the room in which the furnace is located. In this case, the residents will not experience a lack of oxygen, and the heater will cope well with their tasks. The ideal air movement in the channel should be 1 m / s or a little more. There is an option to install a baffle plate. This is a special tip in the form of an umbrella, which is mounted on the top of the pipe. When the air goes around it, a vacuum is created in the middle, which leads to a drop in pressure, which means that the streams from the bottom immediately begin to rise to the top. 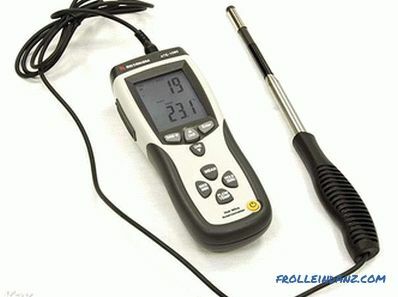 In some cases, a special sensor is provided that monitors the content of the outgoing smoke and its temperature. In some situations installation of the turbine will be useful. By the principle of action, it resembles a deflector. But the vacuum occurs due to the fact that the wind spins it, and the blades pull the air out of the pipe to the outside, which causes a pressure drop. Special electric fans are also available that forcibly create cravings. They are installed closer to the upper edge of the channel. 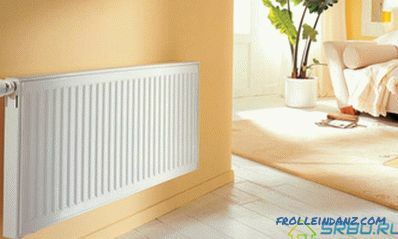 In some cases, it is enough that they create a pressure drop until the pipe warms up, then everything goes on as usual. Now you have knowledge of the reasons for the reverse thrust or lack thereof. Always before you take any action, take care of the necessary security measures. Your life and those of your loved ones may depend on it. We remove the chimney through the wall. Construction of a brick chimney. Making a chimney sandwich with your own hands.